Bruce did not want to cook tonight. I did not want to go out for dinner tonight. Therefore, I had to cook dinner tonight. I still think I won in this compromise. I had to go to the grocery store to pick up a few things and was able to pick up mousse while I was there. Curly hair can now commence. I cooked down some sliced onions and mushrooms on low heat in some butter. I wasn't looking to caramelize anything (Bruce isn't a huge fan), I just wanted to soften them up and give them some flavor. I seasoned with salt and pepper while they cooked, then added pasta sauce and seasoned that with salt, pepper, garlic, oregano and parsley. Oh - and garlic bread! I bought a loaf of fresh Italian Bread ($0.99 on Fridays), sliced it on a diagonal, smothered the pieces with butter and garlic and cooked them at 350 degrees. Bruce and I are heading out! Finally feeling better! I even made myself a cup of coffee this morning! For multiple reasons, I have drastically cut back on my coffee consumption lately, so this was such a treat! 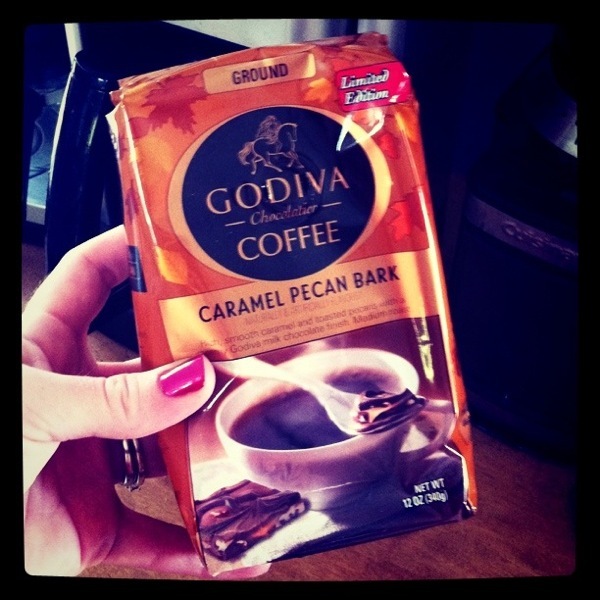 It was also a treat because I was tasting another flavor from Godiva + Foodbuzz. I liked this flavor even better than the pumpkin one! Anybody else having a sub-par foliage season? I love cooking simple meals in bulk that can eaten for lunch and dinner all week. It makes my life so much easier! The only problem is that it tends to get boring to eat the same thing over and over again. Agreed? Bruce and I took yesterday's Mexi Blend Cheeseburger & Broccoli Pie, broke it up into small pieces, tossed it in a skillet with some olive oil and threw in some diced tomatoes at the end (just enough time to get them warm). I topped mine with a little bit of cheese! I won't be getting my own Food Network show any time soon, but it's nice to cook in bulk and not eat the exact same thing every single day. I was home from my meeting in time for The Office! Who else is watching? Ack, I am so close to feeling better. But I am at the stage of this sinus/cold/head thing where I am just exhausted and my head feels ... big. 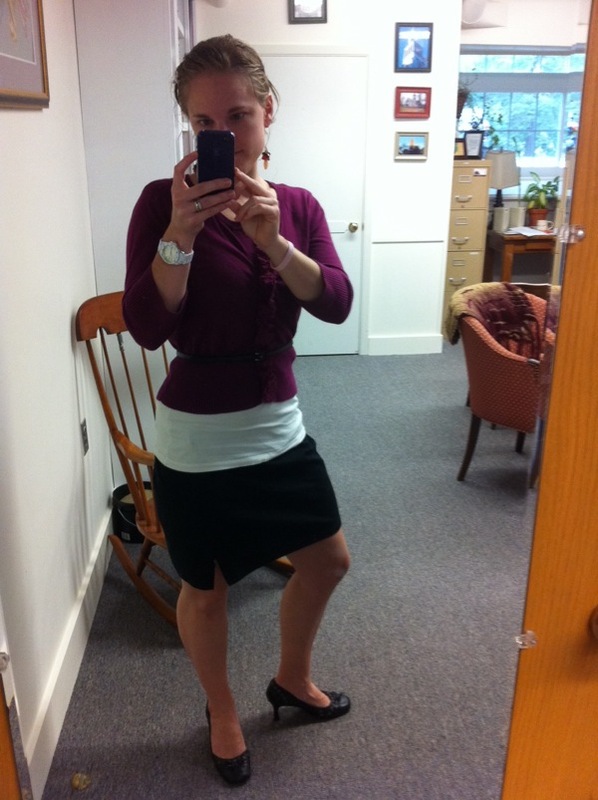 I have a meeting tonight, so I left the office around 12:30 to get some rest and work with my feet up. As lame as it is to be under the weather, this happens to me when the weather changes - and I am excited about that! 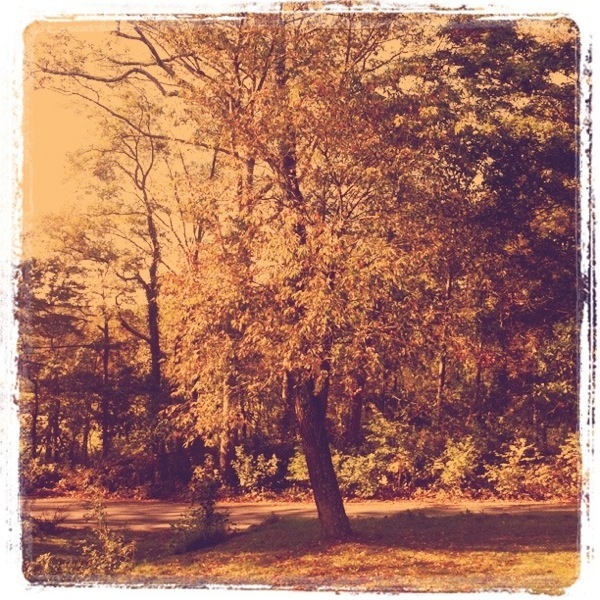 Bring on fall, please! 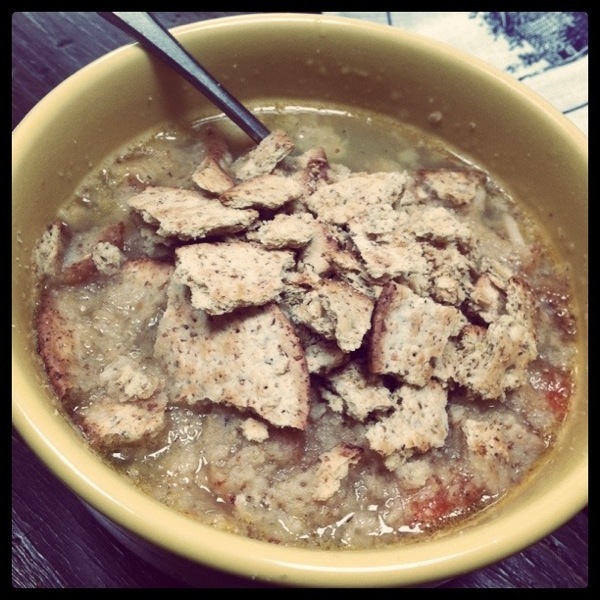 Chicken Noodle Soup with crumbled up crackers (it gives it a stew-like texture!). 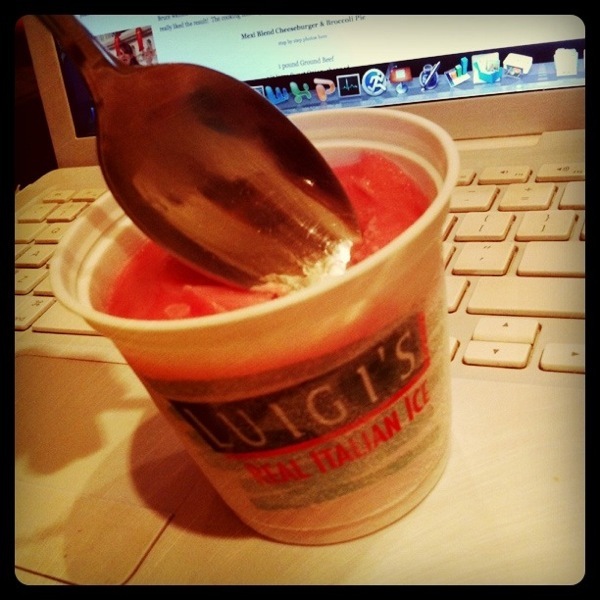 Yes, that is Italian Ice. I send Bruce a text the other day when I was at the "my throat is burning" stage and said that I wished we had Popcicles. And yes, my sweet husband walked in the door that night with both Popcicles and Italian Ice to sooth my throat. What are your remedies for annoying ailments? I remember one time being sick when I was young and my throat hurt and I was crying to my mom, who promptly left my room to get some "medicine" - which only made me cry harder (I hate medicine). Turns out the "medicine" she was getting was icing on a spoon! She said it would help my throat - and it did! So smooth. Wow. Today has been absolutely nuts. Hence the no blogging until now - but it's a good one! Bruce wanted to have Impossibly Easy Cheeseburger Pie but we inadvertently switched some things around and I really liked the result! The cooking technique is the same - ingredients a little different. Enjoy! Saute beef, onions, salt and pepper. Drain. Spread in greased pie plate. Cover in cheese. Layer the top with broccoli. Whisk together cheese, bisquick, milk and eggs. Pour into pie plate. Bake for 25 minutes in a 400 degree oven. Yum. The raw tomatoes were a nice pairing. We're watching last night's NCIS and I'm hoping to get to bed early. Still trying to knock this sinus / head cold that I have. I don't think I'm contagious, but I have been putting off my hospital visits just in case. I have people I want to go see! Oh man. Y'all. These ribs? Even better 24 hours later. Onto my terrible Pinterest pun. If you follow me over there, you will see that I have an entire "board" dedicated to soups. What can I say? 'Tis the season! And with both of us working full time, soups are easy to cook in bulk and use as quick lunches. I don't have much of my own cooking to share today (I had lunch with some colleagues and had leftovers for dinner) so I thought I would share what I have been pinning/pining - hopefully we'll make some version of them soon! I'm pretty sure if you click on the pictures it will take you to my pinterest page and you can click from there over to the recipes. Which one should we try first? It's incredibly foggy out, I have a sinus headache and I just got a string of bad news. Hear, O Lord, when I cry aloud, be gracious to me and answer me! “Come,” my heart says, “seek his face!” Your face, Lord, do I seek. I believe that I shall see the goodness of the Lord in the land of the living. Wait for the Lord; be strong, and let your heart take courage; wait for the Lord! Rub both sides of the meat with the seasoning. Now it's time to sear the meat! We used the grill, but you could easily use a griddle on the stove. 3 minutes on both sides. Once the meat comes off the grill, cut it into pieces with 3-4 ribs each. Cover and let cook on high for two hours. Once the meat has cooked for two hours, combine your barbeque sauce and honey. *Honey Tip! 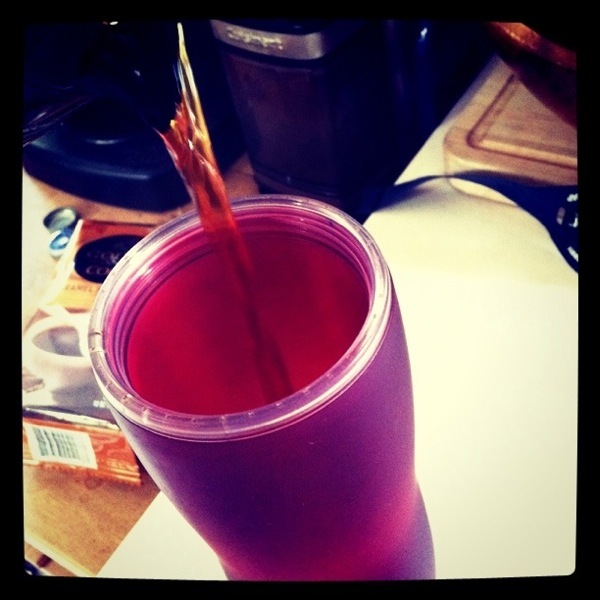 Pour hot water on the measuring cup before putting the honey into it. It won't stick to the sides. And let cook on high for another 1 1/2 - 2 hours. The one thing we noticed when it was almost time to eat was that the sauce was very thin and runny - and we wanted something to drizzle over the meat! So 15 minutes or so before you are ready to eat, pull some of the sauce out of the slow cooker and put it in a skillet on the stove. Throw some cornstarch to thicken it up a little bit - and then add salt and pepper for flavor. Bruce is already excited about taking leftovers for lunch tomorrow. Amazing. Enjoy!